How CRM solutions solve problems in healthcare organizations? Healthcare is one of the principal industries having a major impact on general quality of life. Here customer service, acceleration of each possible piece of work, the level of patient treatment, effective inventory and ordering management take center stage. A small mistake may lead at least to employee’s overwork, extra operating expenses, bad testimonials and complaints on the website. Worse, result in the lack of medicines and even medical errors. That’s why it’s so important to build an efficient system of coordination of all activities, automation of internal processes, and accurate maintenance of documentation. Nowadays CRM systems are very popular among a wide range of healthcare organisations, including hospitals, dental clinics, pharmacies, and a lot more. CRM software can serve multiple goals. There optimized workflow, improved document management, enhanced relationships with customers, increased profit, that you can achieve by the implementation of a CRM system. Now let’s take a look at the main objectives of medical organizations and the level (percentage) of their importance. To reach these goals more and more healthcare organizations implement CRM software. In this post we will consider how CRM application development solutions help in solving their key problems. Reducing expenses is one of the major points for any industry, healthcare is no exception. There are many operations to accelerate, ways to simplify work of medical staff, methods to improve inventory management, as well as minimize human errors. Spending less time for certain activities, keeping documentation accurately, and optimizing workflow allow healthcare organizations to save costs. And here CRM software solutions play center stage, allowing to better coordinate work, automate request processing, and more. Gathering, allocating, transforming, and analyzing of data takes a lot of time, affecting both efficiency of work and customer satisfaction. CRM software solutions are widely used as the tool for collecting, storing, and providing instant access to quality up-to-date information, representing the way to ensure better services, automate the process of processing multiple requests and simplify the work of employees. It concerns all healthcare organizations, including hospitals, animal clinics, dental clinics, medical centers, etc. Also quality databases about patients (treatment issues, clinical records, requests, contacts), medical staff (working schedules, medical classifications, specialization, doctor patients’ lists, activities) help healthcare organisations reduce time for searching necessary information, synchronize work of employees, and increase patient treatment and satisfaction. Thanks to the integration of CRM system employees can keep records of all drugs in the warehouse and control their consumption in much more rapid and effective way, saving both time and labor costs. Tracking of consumed medicines allows to avoid cases of their deficit – you always have drug inventory. CRM software solutions also provide simple and convenient scheduling of operations which simplifies the work of specialists as well as coordinates their activities. So, the implementation of CRM enables healthcare organizations to automate the process of order and acquisition planning of pharmaceuticals and medical equipment. Chronic disease management is one of the parts that can be significantly improved. The integration of CRM software simplifies the work of medical specialists. Employees collect and store information about patients in CRM system, updating it and registering new ones. Moreover, they get the ability to carry out patient segmentation: within each segment, you can work with the audience and inform patients about upcoming events and ways to control disease course. Also, you can set up push notifications reminding about appointments to doctors, time to take medicines, and so on. CRM solutions can provide access to various communication channels, from general emails to personalized messages sent to the patient portal’s profile or mobile apps. Automation of communications within each group greatly facilitates the process itself as well as the whole patient treatment. Doctors are those who are to a high extent responsible for people’s lives. Every day they have to take a number of decisions. The automation and improvement of this process will allow to treat more patients and minimize mistakes. CRM system can form a detailed patient profile through the integration with patient and clinical applications (and other software systems if any), and transform all the information into a holistic and detailed picture. Providing medical staff with instant access (via CRM mobile and web apps) to up-to-date and structured patient information (medical records, symptom data/results of medical inspections, assigned therapies, lab results, etc.) will help them make more informed and faster decisions. CRM solutions can enable healthcare organisations to collect and synchronize patient data from various sources and provide medical staff with limited access to such information as individuals’ contacts, relatives, records, notes related to certain interactions, etc. With this information at hand, organisations can offer a personalized approach to each patient throughout the treatment cycle. Also with CRM system you can measure patient engagement: track scheduled and missed by patients appointments, tests, events, consultations, as well as track, analyze, and quickly respond to negative feedback. There can be online survey’s results, emails, testimonials left on patient portals or company website, and much more. This will allow to significantly improve the level of patient satisfaction. 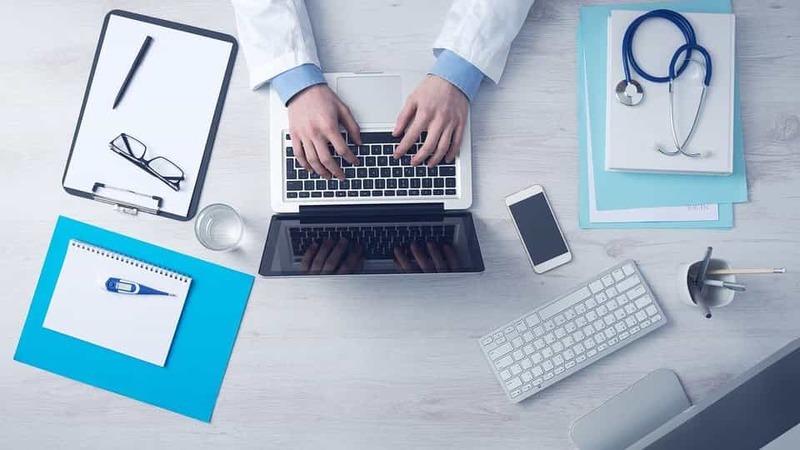 So, CRM application development solutions can solve a wide range of operational challenges, helping healthcare organisations in meeting their goals. If you have a product idea or some questions, apply to a reliable company to get meaningful recommendations.